While it’s not always easy to define a pool by their top team, to call Pool A anything other than Texas Cavalry’s pool would be laughable. 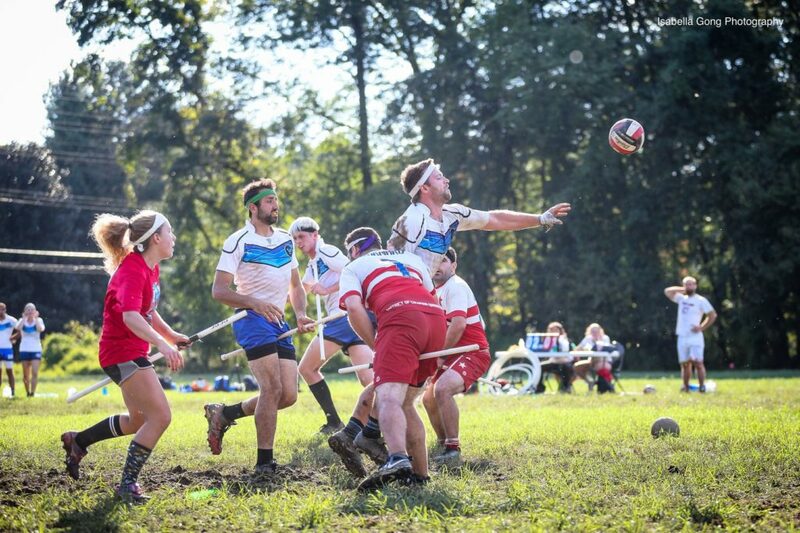 Defending champion Cavalry boasts the greatest chance of winning their pool of any club team at USQ Cup 12, thanks in large part to drawing Terminus Quidditch Atlanta as a Pot Two team. Terminus, with an Elo rating of 1731, is not only the weakest team from their pot; they are not even predicted to make it to bracket play. Ahead of them in their pool are Rochester Hailstorm and the Rain City Raptors (albeit narrowly), which are predicted to take the pool’s second and third seeds, respectively. Hailstorm can be fairly confident in their likelihood to make bracket, with almost a 77 percent chance of doing so. The last spot from this pool, however, looks like it will be a tightly fought battle between the Raptors, Terminus and DCQC, the strongest pot-six team at the tournament. However, this is the sole pool to feature only two teams with greater than a 50 percent chance of qualifying for bracket, so expect the bottom of this pool to be murky. Despite having almost a 30 percent chance of making it out of pool play, DCQC has played Terminus twice this season, losing both out-of-range, and The Rogues once, losing that game in-range. Should Cavalry handle this pool as predicted, they will likely take the No. 1 seed overall, giving them roughly a 28 percent chance of winning the tournament. While the one seed would give them an advantage (simulated brackets give the one seed roughly a 10 percent easier path to the final than a two or three seed), it would also likely hurt any other teams in their pool that make bracket. If Cavalry can take the overall one seed in bracket, the second seed from this pool would likely play their play-in game against whatever team takes third in Pool B–and would thus make them the only two seed not predicted to make it to the quarterfinals. Immediately after the drawing, Pool B was labeled the so-called “Pool of Death” and rightly so. The top three teams in this pool, Q.C. Boston, Bosnyan Bearsharks and Lone Star Q.C. all rank in the top seven teams at this tournament, and their ratings are separated by less than 70 points in total. The top of this pool will be a slugfest, to the point that whatever team emerges with the pool’s top seed and a bye to the quarterfinals may have only won a pyrrhic victory if their pool-play performance took too much from them. Boston is the slight favorite to win this pool, with a 44 percent chance of doing so, but Lone Star and the Bearsharks aren’t far behind with roughly 27 percent odds apiece. That means that both of these teams are the most likely teams from their pots to win their pools, in part because they were the strongest team in either pot, but also because Boston will likely have to beat both of these teams if they hope to win the pool. If there’s any bright light for the teams at the top of this pool, it’s that they were gifted about the easiest bottom of their pool they could have received. 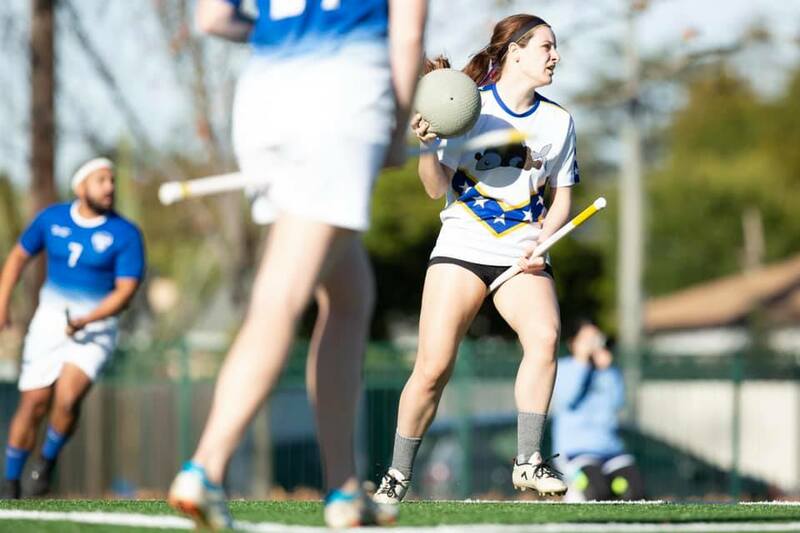 Carnage Quidditch–the pot-four team in this pool–and the Fighting Farmers of America–the pot-6 team–are the lowest respective teams from their pots and the Silicon Valley Vipers don’t skew far from the pot-five average. While the games between these bottom three teams should be closely fought games that could make for good viewing, it’s unlikely that they’ll ultimately make much of a dent on these teams’s chances of continuing on to bracket play. To put into perspective just how clearly cut this pool is, each pot team pairing played against each other at least once at their regional-qualifying tournaments. Boston and the Bearsharks split a pair of games in-range, with the regional title ultimately falling to the Bearsharks. The Vipers and Farmers played their game to a draw until a Vipers snitch catch gave them the win. But between the third and fourth pot teams in this pool, Lone Star beat Carnage twice, by an average of over 100 quaffle points per game. That 100-point wall will likely be a tough obstacle for any of these lower-seeded teams to overcome; while steeper upsets have happened, the odds are far from in their favor. Of any pool, Pool C certainly has the greatest discrepancies between its pundit-based predictions and its Elo-based predictions. By any standards, The Warriors are predicted to win this pool and that would likely hold true no matter who you asked. After that, however, the predictions differ. Elo ratings predict that the Lost Boys, despite entering as a pot-four team, will take second in this pool more often than not. However, that standing might be heavily influenced by a rating-hangover from their semifinal appearance last season, as the roster they’ll have at this year’s Nationals is missing multiple pieces that took them on that run. Meanwhile, the Lost Boys are pitted up against two first-year teams to compete for a slot in bracket play: Boom Train and the Bay Area Breakers. Elo ratings in the past have been slow to adjust for the actual strength of first-year teams (the Bosnyan Bearsharks 200:1 semifinal run in 2017, for example), but it remains to be seen whether Boom Train or the Breakers can continue that trend. To Boom Train’s credit, they are one of only three teams to defeat Cavalry this season, and one of only three club teams to keep the Texas Hill Country Heat in range. If they can rise to a similar height for this pool play, they might have the best shot at unseating The Warriors from taking the top seed from this pool. Elo gives The Warriors a 66 percent chance of winning this pool and–with Elo likely overrating the Lost Boys chances and underrating Boom Train’s–those odds will likely play out to be fairly accurate. Entering this tournament as the third-best team, according to Elo, the pressure is on for The Warriors, who have never made a semifinal in their team’s five-year history. That said, this is the highest the team has ever been rated going into Nationals, and the pieces seem to be in place for this to be their year; Elo gives them nearly a 10 percent chance of taking home the trophy. Just as Pool A was Cavalry’s pool, it is hard to define Pool D as anything but belonging to Texas Hill Country Heat–on paper at least. Heat has broken rating record after record in their inaugural season, ultimately winning the Southwest Regional Championship and entering USQ Cup 12 with the highest Elo rating a team has ever achieved. 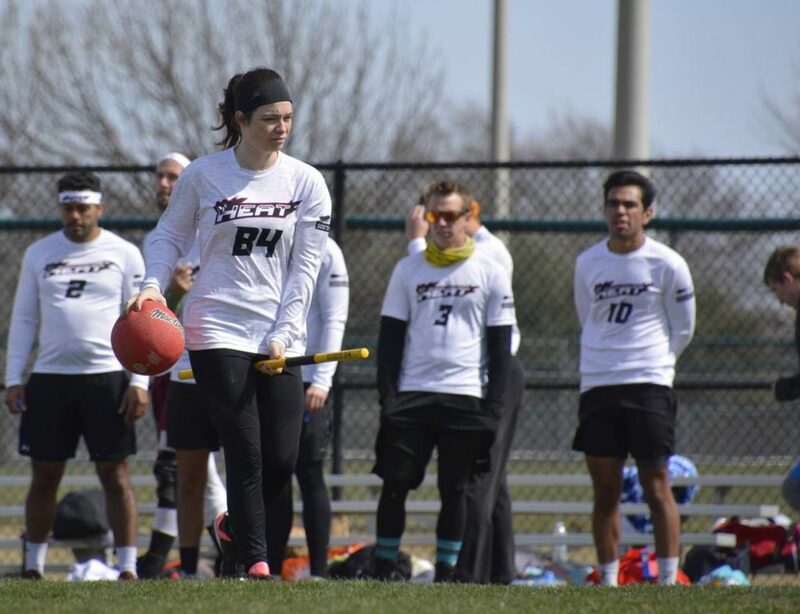 Much of that rating is thanks to their 3-2 overall record against the reigning champion Cavalry, although all three of those wins have come while Cavalry was missing their star player and 2018 USNT captain, Augustine Monroe. Heat is the favorite to win the tournament, with nearly a 42 percent chance of doing so, but with Monroe back and Cavalry at full strength, a close bracket matchup between the new cross-state rivals seems almost guaranteed. The middle of this pool is where things get interesting. The pot-two team, the Los Angeles Gambits, are the fifth-rated team overall at the tournament, carry with them a 20 percent chance of winning the pool and are almost a lock to make it to bracket play. That leaves this pool’s last bracket slot to be a tug-of-war match between Twin Cities Q.C. and Long Beach Funky Quaffles, two teams who met last year with similar rosters. Long Beach handedly won that matchup, although both teams ended up narrowly missing bracket play. 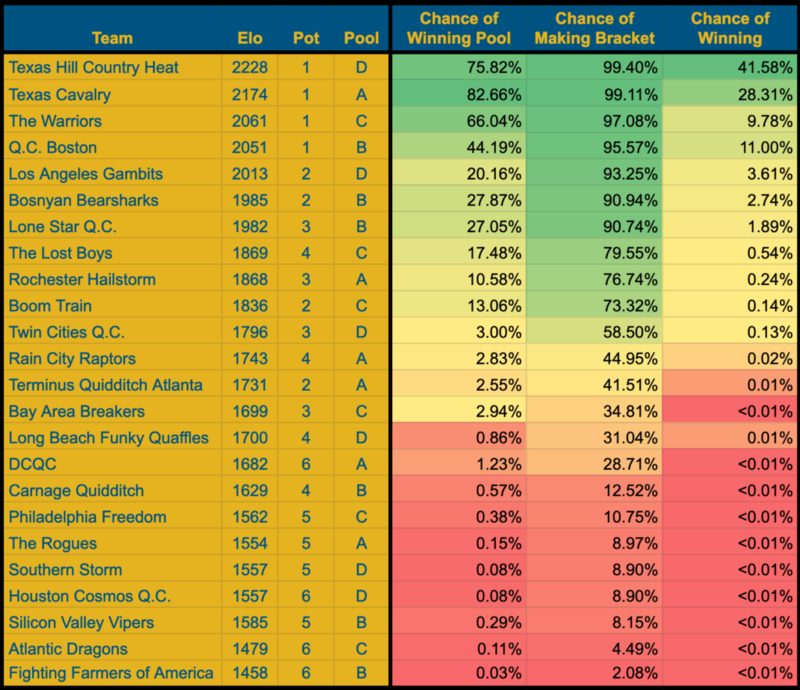 With a bracket appearance likely on the line this season, TCQC will have to adapt or Long Beach will remain dominant. Fans of close games, meanwhile, should check out the Southern Storm and Houston Cosmos Q.C. game in Sunday’s 10:30 a.m. time slot. Both teams enter this tournament rated the same–557–promising a game that will be a pure toss up and is likely to be the closest (by Elo’s standards at least) game played this weekend. A team’s chances of making bracket were calculated by simulating 100,000 iterations of their pool, and the relative standings that would produce. A team’s chances of winning the tournament were calculated by simulating a bracket with the expected opponents they would face based off of the seeding determined by the pool simulations.